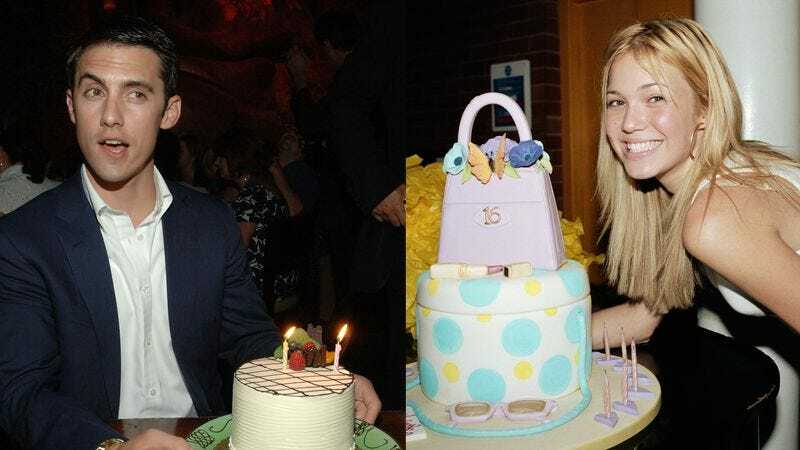 Capitalizing on that vaguely interesting moment produced when you find out someone has the same birthday as you—except in the form of a season-long TV show that’ll cost millions of dollars to produce—NBC has announced that it’s cast five of the eight parts in its planned “shared birthdays” dramedy. The untitled show is the brainchild of Galavant producer Dan Fogelman, a man who once successfully sold a movie studio a script about Santa Claus’ ne’er do well brother Fred, and is thus probably capable of convincing anyone to do anything he wants. Case in point: Talking Mandy Moore and Heroes’ Milo Ventimiglia into playing two of his birthday buddies, sinking their collective teeth into a premise that kind of sounds like Orphan Black, except instead of clones, they all just read the same section of the newspaper horoscope. Moore and Ventimiglia will portray spouses in the new show, while Justin Hartley, Sterling Brown, and Mr. Robot’s Ron Cephas Jones will play some of their cohorts in birthdaydom. Hartley will play Kevin, a successful actor bored with his bachelor lifestyle, devoid as it is of well-decorated cakes. Brown, meanwhile will appear as Randall, a high-powered businessman who was abandoned by his biological father (Jones). The fact that someone is playing someone else’s father in this is actually pretty confusing, given the premise. It’s possible, in fact, that at least some of these characters don’t have the same birthday, making us wonder what’s even the point of the whole damn show. At least Fogelman and his crew won’t have to shell out a ton of cash to the estates of those dreaded spinsters, Mildred and Patty Hill, when they break down and decide to use “Happy Birthday” as the theme song to the show.